Current literature indicates the optimal replacement time of an intravenous catheter, ranges from when “clinically indicated” (i.e. signs of complications such as infection, occlusion, and/or phlebitis) to three days. The time constraint is designed to prevent infection(s) and phlebitis, as well as to decrease the costs of healthcare, and the time spent by nurses, on patient care. To evaluate the impact of routine removal and re-siting of the peripheral intravenous catheter removal, compared to removal when “clinically indicated” by adults and/or pediatrics. A search for literature was conducted via Cochrane Review and Web of Sciences™ Core Collection, MEDLINE, and PubMed to summarise the optimal timing for peripheral intravenous cannula replacement. One reviewer individually evaluated the trial(s), review(s), quality of the guidelines, and then, extracted the data. Criteria included guideline(s); randomized controlled trial(s); and reviews; all of which matched routine removal of peripheral intravenous cannulation, with re-sited when “clinically indicated”, only in patients in the hospital, partaking in intravenous medication and/or fluids. Articles of relevance to the topic, published in English, French, or Portuguese, prior to 2018, were reviewed. The effective implementation of evidence-based, guideline-based practice can decrease the catheter-related infection risk. While larger multi-site trials are required, present-day evidence asserts: the repetitive inserting of a peripheral intravenous device may raise the patient’s level of discomfort, increase the costs of healthcare, and does not decrease complications associated with peripheral intravenous devices. The clinically indicated intravenous catheter replacement procedure is cost-effective, compared with the recurring replacement procedure, which recurs every 72 hours; it has been suggested that healthcare institution(s) and hospital(s) have considered revising the policy, whereby intravenous catheters are replaced, if clinically indicated, only. Keywords: Cannula replacement, Catheter-related bloodstream infection, Clinically indicated, Infection, Phlebitis, Peripheral intravenous catheter removal. © 2019 Alloubani et al. ‘Intravenous Therapy’ is a common, invasive procedure amongst hospitalized patient(s), and relates to the incidence of phlebitis. Several hospitals have protocols in place, wherein replacement of IV catheters should occur between 72 to 96 hours, regardless of clinical indication. This time constraint has been designed to prevent possible complications such as infection, occlusion, and/or phlebitis. According to the Infusion Nurses Society (INS) guidelines (2016) however, there is no need to change the peripheral intravenous cannula for adult patients, after 72 hours [1Infusion Nurses Society. Infusion therapy standards of practice. J Infus Nurs 2016.]. The INS guidelines revealed that the catheter for adult patients should be changed when clinically indicated only. For children, however, the catheter replacement is recommended only when clinically indicated. Interventions have been created to decrease the incidence of phlebitis, including: Changing the catheter material(s) [2Cornely OA, Bethe U, Pauls R, Waldschmidt D. Peripheral Teflon catheters: Factors determining incidence of phlebitis and duration of cannulation. Infect Control Hosp Epidemiol 2002; 23(5): 249-53. [http://dx.doi.org/10.1086/502044] [PMID: 12026149] ], the use of heparinized catheters [3Shah PS, Ng E, Sinha AK. Heparin for prolonging peripheral intravenous catheter use in neonates. Cochrane Database Syst Rev 2005; (4): CD002774. [http://dx.doi.org/10.1002/14651858.CD002774.pub2] [PMID: 16235 300] ] and innovative techniques for securing the catheters [4Callaghan S, Copnell B, Johnston L. Comparison of two methods of peripheral intravenous cannula securement in the pediatric setting. J Infus Nurs 2002; 25(4): 256-64. [http://dx.doi.org/10.1097/00129804-200207000-00009] [PMID: 12131508] ]. Registered Nurses are authorized to insert peripheral intravenous cannulation for patients who need intravenous fluid(s) and/or treatment(s). Accordingly, from the time of insertion to the time of the catheter’s removal, Registered Nurses have an essential role in patient care and frequently check the catheter to limit and/or prevent complication(s). This study aimed to evaluate the impact(s) of peripheral intravenous catheters removal and routinely re-siting the catheter, compared with removal when clinically indicated, by pediatrics and adult patients. All randomized controlled trials, guidelines, and systematic reviews, examining the routine removal of peripheral intravenous and removal only when clinically indicated were included; cross-over trials were not included in this review. However, research involving patients’ needing peripheral intravenous cannulation to be on site, for at least 72 hours, for the administration of the intravenous therapy, was included as well. These involved patients in a healthcare setting(s) such as clinics, hospitals, and/or nursing homes. However, any study comprised of patients receiving nutrition and/or parenteral fluid(s) was excluded. Any duration of routine replacement or clinically indicated replacement were involved; cannulation or catheters formed from any brand of material such as metal or plastic; coated or non-coated with any brand of the treatment(s), such as antibiotic or anticoagulant; or covered by any dressing such as gauze or transparent occlusive were included. A randomized controlled trial is defined as “a study design which assigns participants (randomly) to a control group or an experimental group. As the study is conducted, the only expected difference between the control and experimental groups in a Randomized Controlled Trial (RCT) is the outcome variable being studied,” [5Himmelfarb Health Sciences Library (The George Washington University) 2011.]. A systematic review “is a review of a clearly formulated question that uses systematic and explicit methods to identify, select, and critically appraise relevant research, and to collect and analyze data from the studies that are included in the review,” [6Moher D, Liberati A, Tetzlaff J, Altman DG. Preferred reporting items for systematic reviews and meta-analyses: The PRISMA statement. Ann Intern Med 2009; 151(4): 264-269, W64. [http://dx.doi.org/10.7326/0003-4819-151-4-200908180-00135] [PMID: 19622511] ]. The references were employed in this systematic review, whereby several references are assessed critically to provide evidence on the topic. The results of retrieving the references were explained and summarised in the tables to provide a clear picture of the issue. Based on such results, it was desirable to make judgments and suggestions [8Brink H, Van der Walt C, Van Rensburg G. Fundamentals of Research Methodology for Health Care Professionals. Juta and Company Ltd.; 2006. https:// books. google. com/ books? hl= en& lr=& id=YZn PYoA4Jk0C &oi= fnd& pg= PA1& dq=Bri nk+H, +Van+WC, +Van+RG. +In:+Br ink+H, +Van +der +Walt+C, +Van+ Rens burg+G, +editors. +Fundamentals+ of +Research+ Methodology+ for+ Health+ Care +Professionals &ots=9V BjzCnHZS &sig=rA- jwFU4- G4JPLFP Accessed May 18, 2018.]. All the articles for relevance to the topic published in the English, French or Portuguese languages before 2018 were reviewed. Looking for the best evidence, the search was conducted for the last ten years from 2008 to 2018. However, we found some important articles in the literature prior to 2008; thus, it was included in the inclusion criteria. However, the first author individually assessed all the clinical trials, systematic reviews and guidelines quality to extract the data. According to the Human Subjects Protection guidelines, this review was considered IRB-exempt, since all the studies included in this review were published, available online, and individual patients were not identified. The study was based on ethical guidelines for conducting studies. All the sources included in the study are appropriately cited and referenced. Twenty-one studies of optimal timing for peripheral IV cannula replacement in adults and paediatrics were identified. These studies included eight randomised, controlled trials, five non-randomized trials, and eight systematic reviews and guidelines. Table 1 summarizes the studies regarding the optimal timing for peripheral IV cannula replacement in adults, while Table 2 summarizes the studies regarding the optimal timing for the replacement of peripheral intravenous cannula in paediatrics. Despite the fact, most hospitals’ policies indicated routine changes of intravenous catheters every 3 to 4 days, there is no conclusive evidence to support the benefit of that practice [9Foumani S, Paryad1 E, Khanghah A LE. Routine replacement or clinically indicated replacement of peripheral intravenous catheters. J Pharm Res Int 2018; 23(3): 1-10. 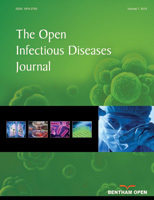 [http://dx.doi.org/10.9734/JPRI/2018/38767] -15Webster J, Osborne S, Rickard C, Hall J. Clinically-indicated replacement versus routine replacement of peripheral venous catheters.Cochrane Database of Systematic Reviews 2010. [http://dx.doi.org/10.1002/14651858.CD007798.pub2] ]. One randomised, controlled trial found that the clinically indicated replacement strategy is more cost-effective, compared with the routine replacement strategy [16Tuffaha HW, Rickard CM, Webster J, et al. Cost-effectiveness analysis of clinically indicated versus routine replacement of peripheral intravenous catheters. Appl Health Econ Health Policy 2014; 12(1): 51-8. [http://dx.doi.org/10.1007/s40258-013-0077-2] [PMID: 2440 8785] ]. In addition, another randomized, controlled trial found no difference in occlusion and phlebitis rates amongst patients for whom a peripheral intravenous cannula was replaced routinely 3-4 days and those for whom it was re-sited only when clinically needed [17Van Donk P, Rickard CM, McGrail MR, Doolan G. Routine replacement versus clinical monitoring of peripheral intravenous catheters in a regional hospital in the home program: A randomized controlled trial. Infect Control Hosp Epidemiol 2009; 30(9): 915-7. [http://dx.doi.org/10.1086/599776] [PMID: 19637959] ]. Also, another randomized, controlled trial found that re-siting peripheral intravenous catheters when clinically indicated has no impact on the incidence of failure, based on a composite measure of phlebitis or infiltration [18Webster J, Clarke S, Paterson D, et al. Routine care of peripheral intravenous catheters versus clinically indicated replacement: Randomised controlled trial. BMJ 2008; 337: a339. [http://dx.doi.org/10.1136/bmj.a339] [PMID: 18614482] ]. Peripheral intravenous cannulas can be removed when clinically indicated. This shift in practice will minimize many catheter insertions, the associated discomfort, and extensive costs in both equipment and staff workload; also it would spare patients the unnecessary pain-related to routine re-sites [12Webster J, Osborne S, Rickard CM, New K. Clinically-indicated replacement versus routine replacement of peripheral venous catheters. Cochrane Database Syst Rev 2015; (8): CD007798. [Review]. [http://dx.doi.org/10.1002/14651858.CD007798.pub4] [PMID: 262724 89] , 16Tuffaha HW, Rickard CM, Webster J, et al. Cost-effectiveness analysis of clinically indicated versus routine replacement of peripheral intravenous catheters. Appl Health Econ Health Policy 2014; 12(1): 51-8. [http://dx.doi.org/10.1007/s40258-013-0077-2] [PMID: 2440 8785] , 19Rickard CM, Webster J, Wallis MC, et al. Routine versus clinically indicated replacement of peripheral intravenous catheters: A randomised controlled equivalence trial. Lancet 2012; 380(9847): 1066-74. [http://dx.doi.org/10.1016/S0140-6736(12)61082-4] [PMID: 229987 16] -21Raad I, Hanna HA, Awad A, et al. Optimal frequency of changing intravenous administration sets: Is it safe to prolong use beyond 72 hours? Infect Control Hosp Epidemiol 2001; 22(3): 136-9. [http://dx.doi.org/10.1086/501879] [PMID: 11310690] ]. In addition, clinically indicated intravenous cannula replacement is harmless practice especially for patients who are at low risk for infection and who are not receiving total parenteral nutrition, blood transfusions, or interleukin [12Webster J, Osborne S, Rickard CM, New K. Clinically-indicated replacement versus routine replacement of peripheral venous catheters. Cochrane Database Syst Rev 2015; (8): CD007798. [Review]. [http://dx.doi.org/10.1002/14651858.CD007798.pub4] [PMID: 262724 89] , 14O’Grady NP, Alexander M, Burns LA, et al. Guidelines for the prevention of intravascular catheter-related infections. Clin Infect Dis 2011; 52(9): e162-93. [http://dx.doi.org/10.1093/cid/cir257] [PMID: 21460264] , 22Lai KK. Safety of prolonging peripheral cannula and i.v. tubing use from 72 hours to 96 hours. Am J Infect Control 1998; 26(1): 66-70. [http://dx.doi.org/10.1016/S0196-6553(98)70063-X] [PMID: 95031 15] ]. Summary of optimal timing for peripheral intravenous cannula replacement in adults’ studies. Summary of optimal timing for peripheral intravenous cannula replacement in paediatrics studies. There is developing evidence to recommend the prolonged use of peripheral intravenous catheters and with removal only when clinically indicated for pediatric patients [12Webster J, Osborne S, Rickard CM, New K. Clinically-indicated replacement versus routine replacement of peripheral venous catheters. Cochrane Database Syst Rev 2015; (8): CD007798. [Review]. [http://dx.doi.org/10.1002/14651858.CD007798.pub4] [PMID: 262724 89] , 14O’Grady NP, Alexander M, Burns LA, et al. Guidelines for the prevention of intravascular catheter-related infections. Clin Infect Dis 2011; 52(9): e162-93. [http://dx.doi.org/10.1093/cid/cir257] [PMID: 21460264] , 19Rickard CM, Webster J, Wallis MC, et al. Routine versus clinically indicated replacement of peripheral intravenous catheters: A randomised controlled equivalence trial. Lancet 2012; 380(9847): 1066-74. [http://dx.doi.org/10.1016/S0140-6736(12)61082-4] [PMID: 229987 16] , 23Portal MR. Peripheral intravenous (IV) device management 2014., 24Rickard CM, McCann D, Munnings J, McGrail MR. Routine resite of peripheral intravenous devices every 3 days did not reduce complications compared with clinically indicated resite: A randomised controlled trial. BMC Med 2010; 8(1): 53. [http://dx.doi.org/10.1186/1741-7015-8-53] [PMID: 20831782] ]. Re-sited the cannula should be avoided when possible, as this will affect and distress the child and parents [23Portal MR. Peripheral intravenous (IV) device management 2014.]. One study showed that intravenous cannula could be maintained safely with adequate monitoring for up to six days in critically ill children [24Rickard CM, McCann D, Munnings J, McGrail MR. Routine resite of peripheral intravenous devices every 3 days did not reduce complications compared with clinically indicated resite: A randomised controlled trial. BMC Med 2010; 8(1): 53. [http://dx.doi.org/10.1186/1741-7015-8-53] [PMID: 20831782] ]. Also, one randomized clinical trial showed superior clinical indication method, compared with routine catheter replacement [25Hosseinzadeh E, Khakshour A, Shakeri A, Ahmadi A, Lashkardoost H. Routine versus clinically indicated replacement of intravenous catheter complications in children: A randomized clinical trial. J North Khorasan 2015; 6(2)]. One study suggested that intravenous catheters indicated replacement when there is accidental dislodgement, phlebitis, occlusion and infection [23Portal MR. Peripheral intravenous (IV) device management 2014.]. There are factors that also would interfere with catheter replacement among pediatric patients. This includes the duration and frequency of therapy, the infusate’s properties, the condition and patient preferences [26Scott-Warren V, Morley R. Paediatric vascular access. BJA Educ 2015; 15(4): 199-206. [http://dx.doi.org/10.1093/bjaceaccp/mku050] ]. Many studies showed that replacing catheters in children every three days would not decrease phlebitis, bacterial colonisation, or catheter-induced sepsis and could increase extravasation risk [27O’Grady NP, Alexander M, Dellinger EP, et al. Guidelines for the prevention of intravascular catheter-related infections. Infect Control Hosp Epidemiol 2002; 23(12): 759-69. [http://dx.doi.org/10.1017/S0195941700080577] [PMID: 1251 7020] -30Garland JS, Nelson DB, Cheah TE, Hennes HH, Johnson TM. Infectious complications during peripheral intravenous therapy with Teflon catheters: A prospective study. Pediatr Infect Dis J 1987; 6(10): 918-21. [http://dx.doi.org/10.1097/00006454-198710000-00012] [PMID: 3696824] ]. Intravenous cannulation is one of the most frequent invasive procedures hospitalized patient would have. The optimal timing for peripheral intravenous cannula replacement among adults and pediatrics patients is still an argumentative issue. A growing number of studies supported the replacement decision of intravenous catheters when it is clinically indicated. However, this study aimed to evaluate the impact of peripheral intravenous catheter removal and re-siting the catheter routinely, compared with removal when clinically needed, among pediatrics and adults. Moreover, there is no conclusive evidence to support the benefit of a routine change of intravenous catheters, every 72 to 96 hours. Though it is recommended to inspect the IV catheter insertion site after every 12 hours to minimise peripheral catheter-related complications, and to replace if signs of inflammation, infiltration, or blockage are present. The duration and frequency of therapy, the infusate’s properties, and the condition and preferences of the patient can be used as conditions to decide on the proper time for intravenous catheter replacement. The studies showed that clinically indicated intravenous replacement method is superior as it minimizes several catheter insertions, discomfort associated with catheter insertion, and extensive costs in both equipment and staff workload. Moreover, it would spare patients the unnecessary pain of routine replacements, especially for pediatric patients. In addition, many randomized, clinical trials found no difference in the rate of phlebitis and/or occlusion among patients for whom a peripheral intravenous catheter was routinely re-sited at 72-96 hours and those for whom it was replaced, only as clinically indicated. Effective implementation of these evidence-based guidelines practice can decrease the catheter-related infection risk. While larger multisite trials are needed, evidence up to the present time recommends that repetitive insertion of peripheral intravenous devices may make patient upset, discomfort and increase healthcare costs as well as it does not decrease peripheral intravenous devices complications. The clinically indicated intravenous catheter replacement procedure is cost-effective compared with replacement after every 72 hours. It is suggested that hospitals and healthcare institutions consider revising the policy whereby intravenous catheters are replaced if clinically indicated only. We would like to thank Manar Saleh (University of Houston; Teacher, Houston Independent School District) for her valuable assistance and support in editing and revising this manuscript. Infusion Nurses Society. Infusion therapy standards of practice. J Infus Nurs 2016. Himmelfarb Health Sciences Library (The George Washington University) 2011. Institute of Medicine (IOM). About systematic evidence reviews and clinical practice guidelines 2016. Brink H, Van der Walt C, Van Rensburg G. Fundamentals of Research Methodology for Health Care Professionals. Juta and Company Ltd.; 2006. https:// books. google. com/ books? hl= en& lr=& id=YZn PYoA4Jk0C &oi= fnd& pg= PA1& dq=Bri nk+H, +Van+WC, +Van+RG. +In:+Br ink+H, +Van +der +Walt+C, +Van+ Rens burg+G, +editors. +Fundamentals+ of +Research+ Methodology+ for+ Health+ Care +Professionals &ots=9V BjzCnHZS &sig=rA- jwFU4- G4JPLFP Accessed May 18, 2018. Webster J, Lloyd S, Hopkins T, Osborne S, Yaxley M. Intravenous peripheral catheter dwell times: Randomised controlled trial of hospital in-patients. Fac Heal Inst Heal Biomed Innov 2005. Available at: http:// eprints. qut. edu.au/ 2249/ Accessed December 4, 2018. Portal MR. Peripheral intravenous (IV) device management 2014.